Healthy Body educates you about your body, getting fit and how to eat right for it. Once you understand the hormonal rules that govern your body you will become the master of your physique and the controller of your body. Learn how to shred stubborn areas of body fat � What supplements to take for flabby arms, legs and mid-section. Boost your metabolism � Learn simple weight based circuit style training at home and increase lean muscle whilst burning fat, includes simple everyday equipment list, weekly overviews and 24 exercises. Stay Lean for life � Lifestyle tips with meal plan & recipes that complement eating right for hormone health. 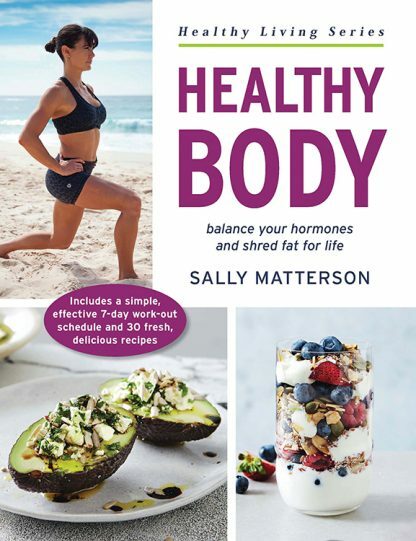 Sally Matterson is one of Australia�s foremost personal trainers. With her cutting-edge methods of training, she is in high demand helping actors, models and athletes get their bodies into peak physical condition. Sally spent five years competing in national and international fitness competitions. She has her own online business at www.sallymatterson.com.au where she runs her Original Shredder and Extreme Shredder fitness programs. A qualified BioSignature practitioner, Sally has revolutionized the way her customers and followers think about conventional means of weight loss. She is passionate about helping people reach their own health and fitness goals.